A Federal Judge in Texas has issued a nationwide injunction blocking the Department of Labor’s new overtime rule that would have affected more than 90,000 Arizona workers. The rule was set to go into effect across the country on December 1, 2016. The Department of Labor sought to update the overtime rules to “keep up with our modern economy” by raising the salary threshold (below which all workers must receive overtime pay) from $455 a week to $921 a week or $47,892 a year. The rule was challenged in two lawsuits – one by the U.S. Chamber of Commerce and the other by more than twenty states – in an attempt to delay the effective date or completely stop the new overtime rule altogether. In a 20-page decision, U.S. District Court Judge Amos L. Mazzant ruled that the plaintiffs stood a significant chance of ultimately prevailing in the case and that they would suffer serious financial harm if the rule was put into effect as scheduled. The court held that the Obama administration overstepped its authority by, among other reasons, raising the salary threshold as high as it did. The rule was expected to affect more than 4 million workers across the country. 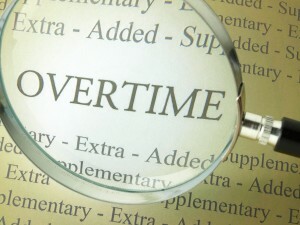 Arizona employers with questions about the current overtime laws should speak with a qualified employment law attorney.